*The following materials were provided to me to share with my readers in promotion of the ABC release of the Bet on Your Baby Blog App. I was not compensated in any way. Every parent thinks they know their baby well, but are they willing to bet on it? 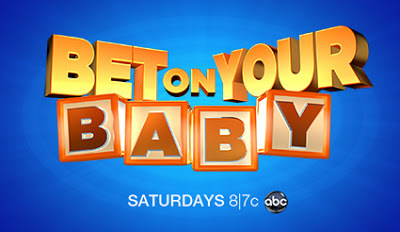 Bet on Your Baby is a new show where parents play fun games with their toddlers, and try to “bet” on what baby will do next! If they guess correctly, the family wins $5,000 in college tuition money, and the chance to play for $50,000! All of these heartwarming and hilarious games are played in a toy-filled room called the Baby Dome. Do you think that you could predict what baby will do next? One of my readers is going to win a three (3)-coupon pack for Luvs® Super Absorbent Jumbo Packs! To enter to win, just enter on the Rafflecopter form below and good luck! 57% and I just guessed my way through! I didn't do so good I got a 43%!! My Kindle Fire HD Came!